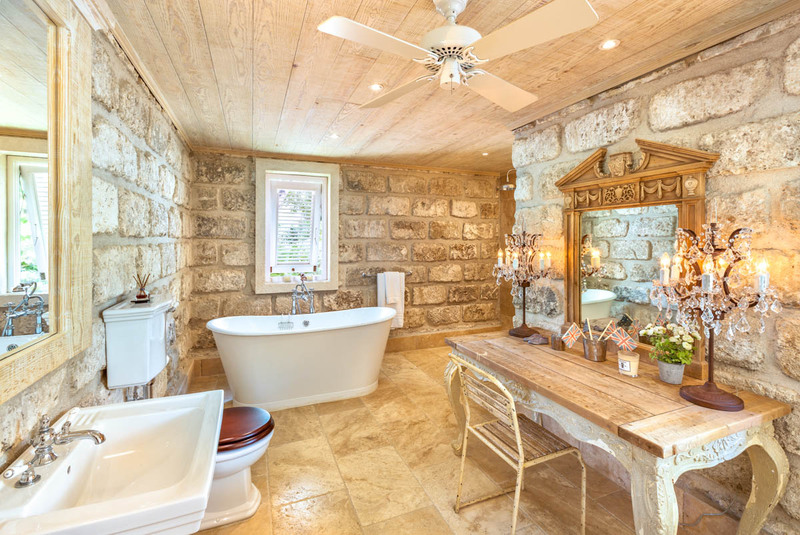 Sandy Estate is any nature lovers dream. Set in five acres of beautiful tropical land, the holiday villa is surrounded by indigenous plants, trees and shrubs. 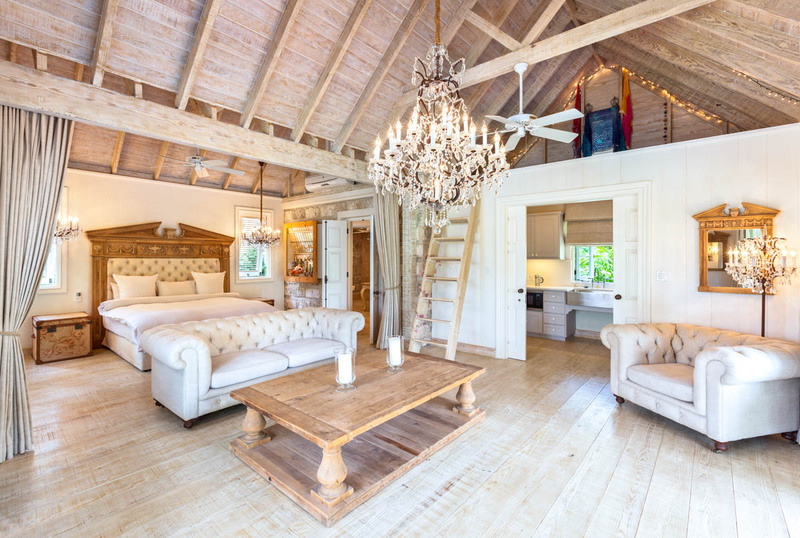 The villa consists of a two-bedroom main house and a cottage and self-contained pavilion that houses the remaining three bedrooms. 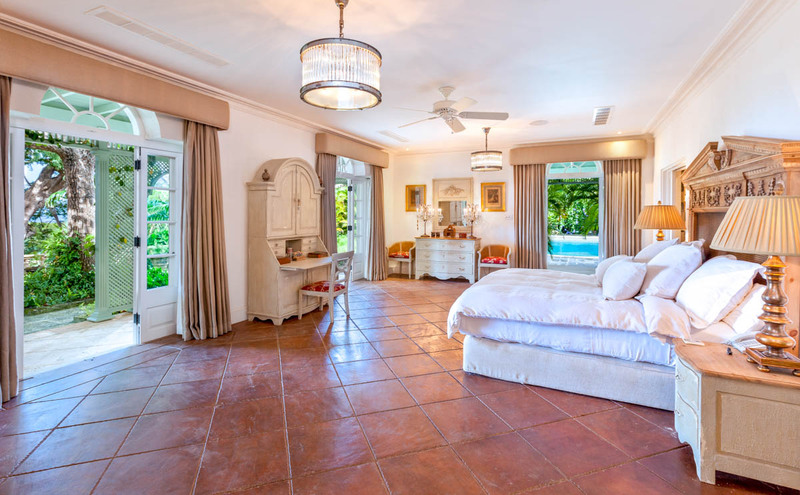 Hidden behind charming Mahogany trees, this countryside villa boasts wonderful views of the Caribbean Sea and Sandy Lane Golf Course. Whilst redesigning the home, designer Oliver Messel raised the height of the ceilings, added verandas and installed the large outdoor swimming pool that is beautifully lit up at night. In the villa’s renovated main house, you will discover a lovely living and dining room, a generously-equipped kitchen and terraces. If you’re looking to have a serene holiday, Sandy Estate is the perfect holiday home. 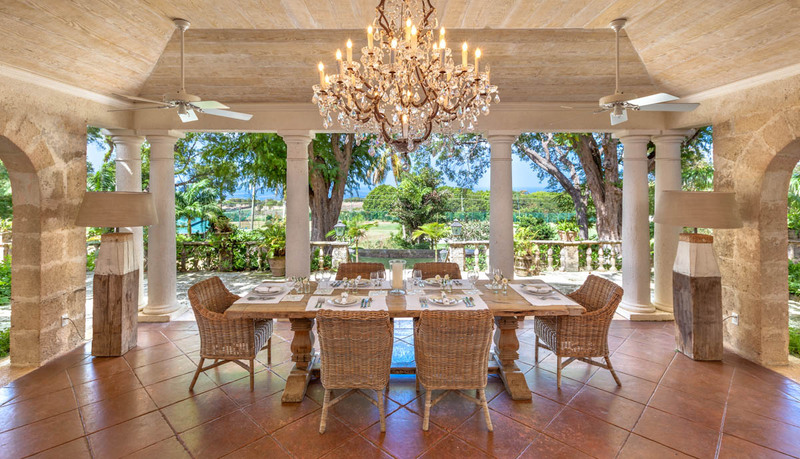 Immersed in nature, guests can take in the spectacular views whilst dining on one of the elegant verandas, one of which is decorated with a glistening chandelier. 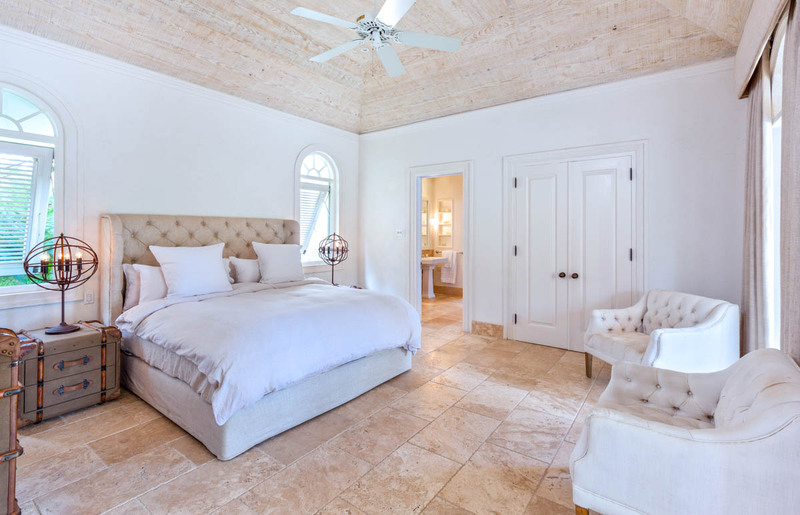 The enormous master bedroom has multiple access to the outside areas and is embellished with a chandelier hanging from the ceiling as well as in the brick-walled en-suite bathroom as lamps. You won’t be able to resist taking in the wonderful tropical climate while staying at Sandy Estate. The garden is enhanced by a lily pond, enchanting pathway, arched folly and views of the wider surrounding countryside. 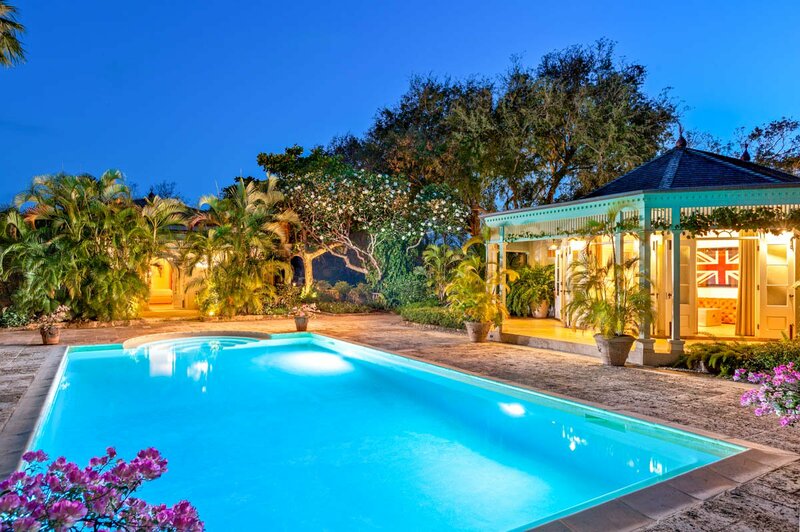 Located in Bennet’s in the Parish of Saint Thomas, Sandy Estate is only a 7-minute drive away from Bridgetown. The exciting Bajan capital holds Petrea Garden, one of the most attractive garden attractions on the island. 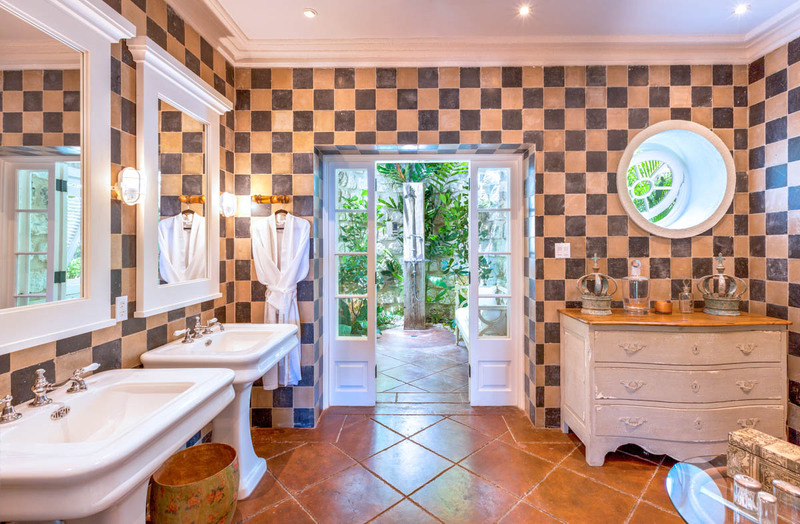 Named after the white Petrea plant, the garden is a relaxing haven full of scenic natural beauty and used to be a participant of the Barbados Horticultural Society's (BHS) Open Gardens Programme. The five acres of impeccable gardens are complemented by a stunning lake. Guests can partake in feeding the lake’s many species of fish or simply just enjoy the scenery. Paddle Barbados is also located in Bridgetown. The surf shop is one of leading places to learn how-to stand-up paddle and surf and has paddleboards, kayaks, snorkels, boogie boards and surfboards available to rent and lessons range from beginner to advance levels. Come here to prepare for your thrilling sea adventures! Mount Gay Visitor Centre is a 15-minute drive away from Sandy Estate. The centre allows visitors to discover and explore the islands favourite drink, rum. Learn the story of the drink that has become loved worldwide via a tasting tour, a cocktail mixing session or a traditional Bajan lunch. You will be captivated by learning the secrets of perfecting the world’s oldest rum, which is over 300 years old.